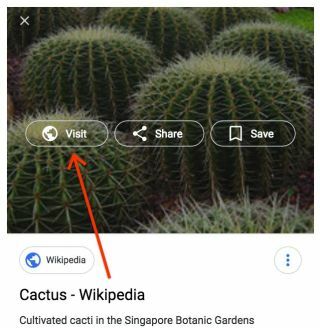 The search engine has removed the View Image button from Google Images. Grabbing a picture from Google's image search just got a bit harder. That's because last night the search engine giant revealed that it has removed the View Image button from Google Images searches. Whereas users used to be able to search an image, pick a result they liked and view it on its own, now you'll have to go into the site the image is from to view the asset. So is this good news for creatives? Or is it a backwards move, like some suggest? According to Getty Images, it's great news. The photo library had complained that Google's image search made it easy for people to find Getty Images pictures and take them, without the appropriate permission or licence. And for publishers, certainly, it's great news. Now they can serve ads and earn more revenue based on the extra click-throughs. The announcement, however, which was made via Twitter with screenshots of the new image search buttons – visit, share, and save – has been met with negative feedback from others. And we're wondering if Google deliberately used an image of a cactus as it broke the news to acknowledge that it's a prickly issue. Many have suggested that the unique benefits of using Google Images have now been removed. Others have labelled it a " backwards step", and pointed out that right-clicking on an image and selecting 'open image in new tab' or 'view image' means you can still access the asset. Google, for its part, has been quick to confirm that the change did indeed come about from a settlement with Getty Images. So what do you think? Is this a step forward in the war against image theft? Or a backwards move that does little to protect creative copyright? Let us know on Facebook or Twitter. What's wrong with Google's burger emoji?